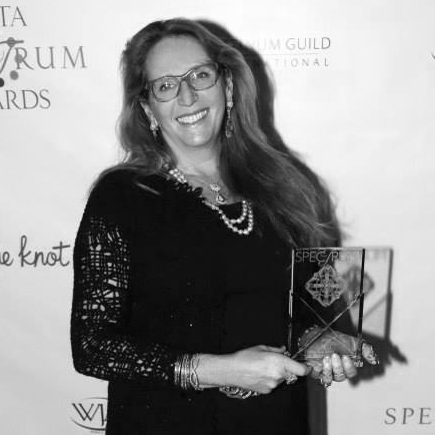 Deirdre Featherstone has received ten coveted American Gem Trade Association Spectrum Awards over the last four years, illustrating the quality of her workmanship and making her a familiar face in the AGTA and the rest of the industry. 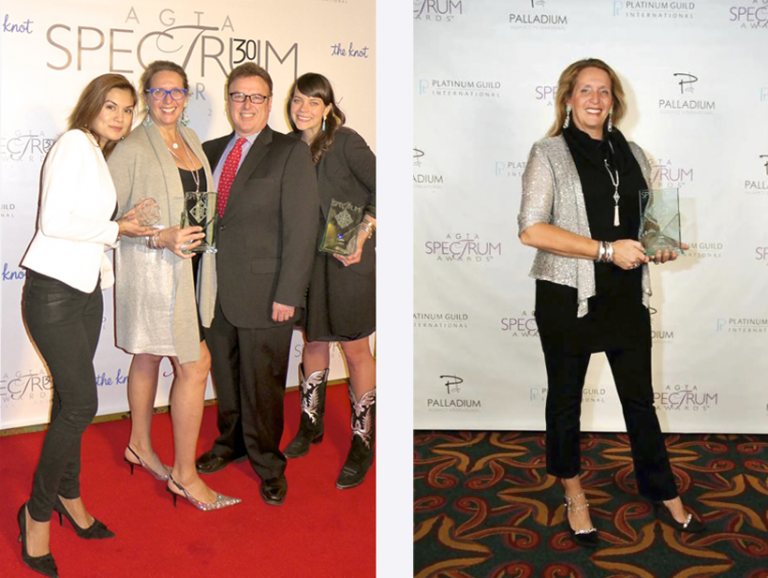 Deirdre and her team continue to be recognized for creating their elegant line of Platinum jewelry that features the highest quality diamonds and a wide spectrum of beautifully colored gemstones. 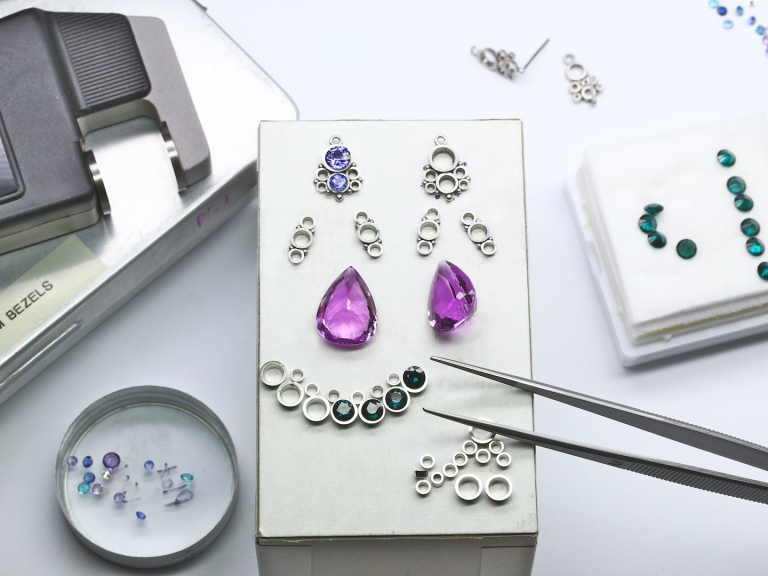 The focus is to design and create the highest quality gemstone-forward pieces of Platinum and Diamond jewelry. Deirdre’s eye for design, complemented by her master artistry, creates jewelry that is timeless and unique. This has been consistently exhibited through her superior matching of rare color and quality gemstones, as well as her incredible innovation in jewelry engineering. 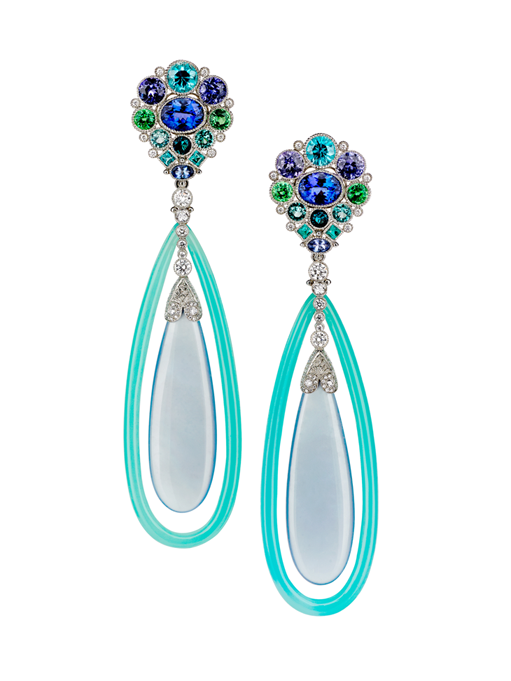 Platinum “Anemone” earrings featuring Tanzanites (5.37 ctw.) accented with Blue Zircons (2.88 ctw. ), Purple Sapphires (3.72 ctw. ), Tsavorite Garnets (1.67 ctw. ), Indigo Tourmalines (.40 ctw. ), Paraiba Tourmalines (.26 ctw.) and Diamonds (.16 ctw.). 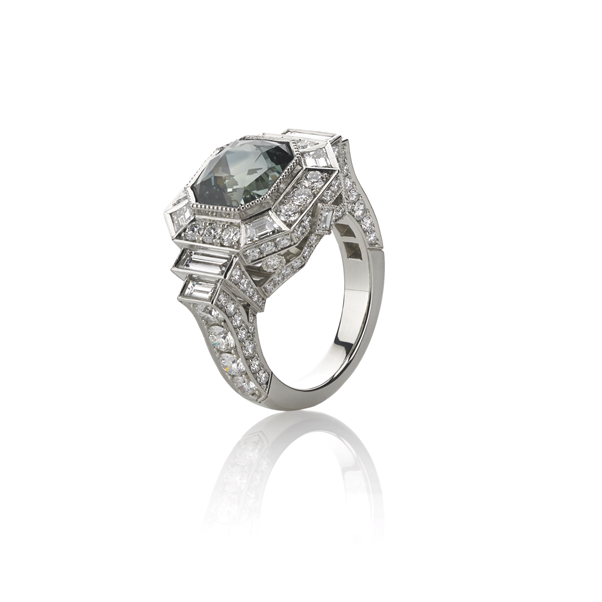 Platinum ring featuring a 5.81 carat Green Sapphire accented with Diamonds (3.87 ctw. ).